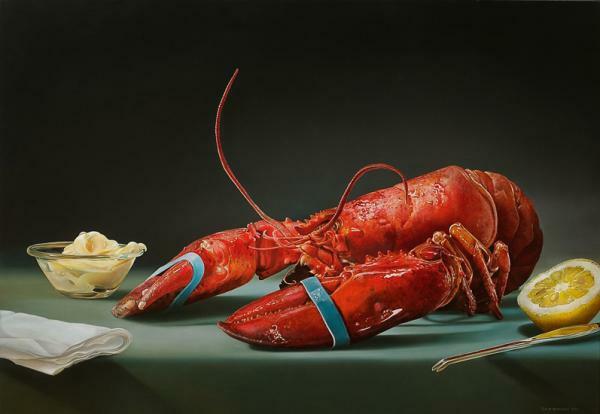 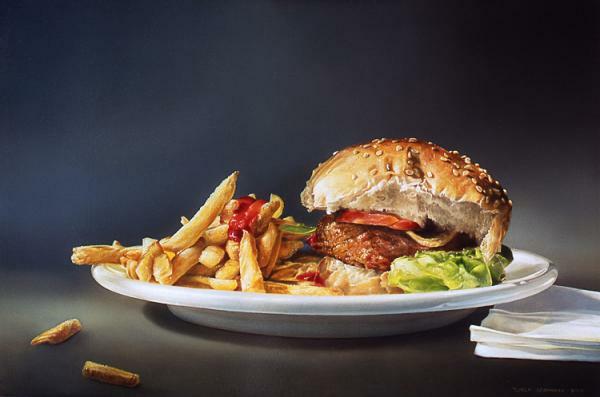 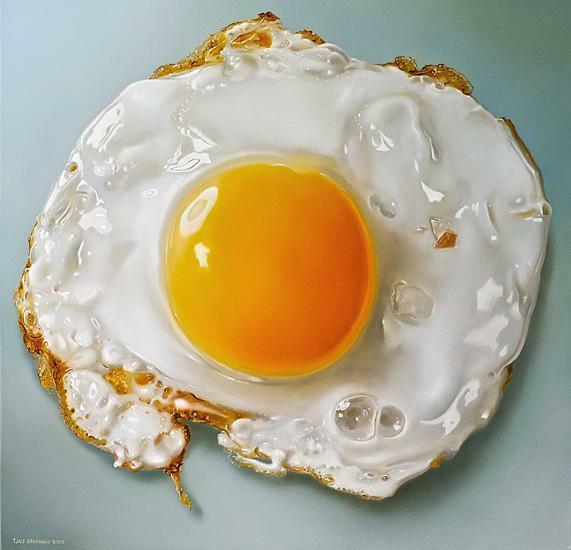 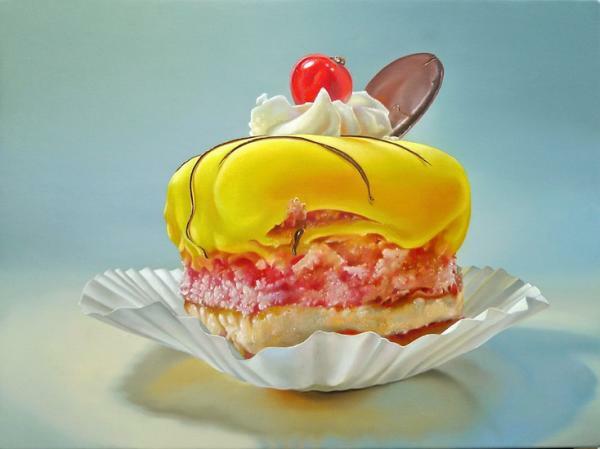 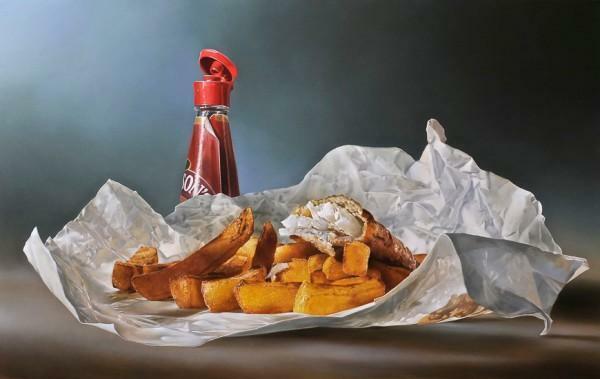 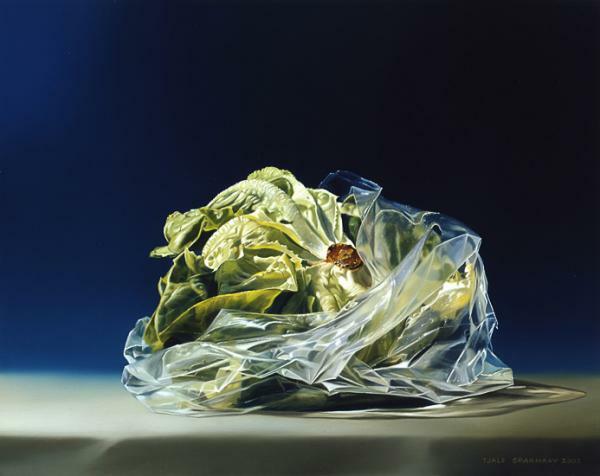 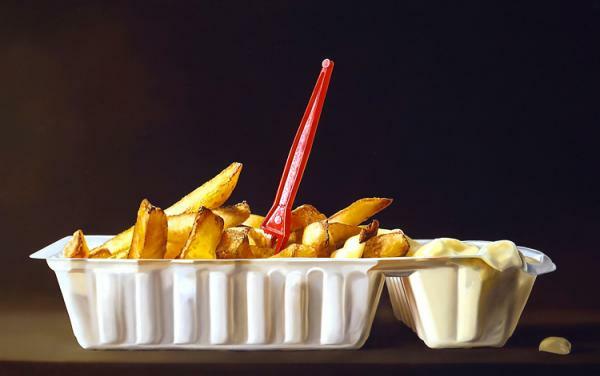 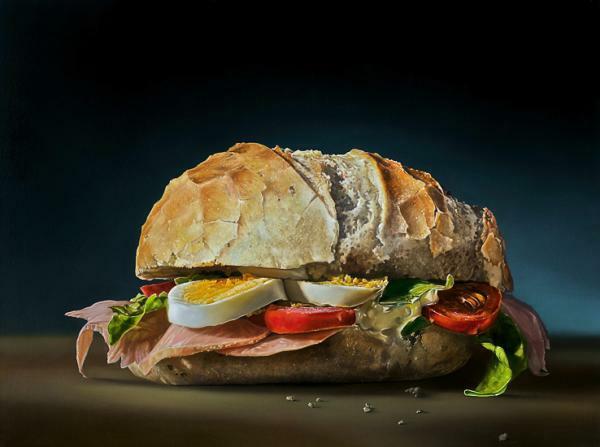 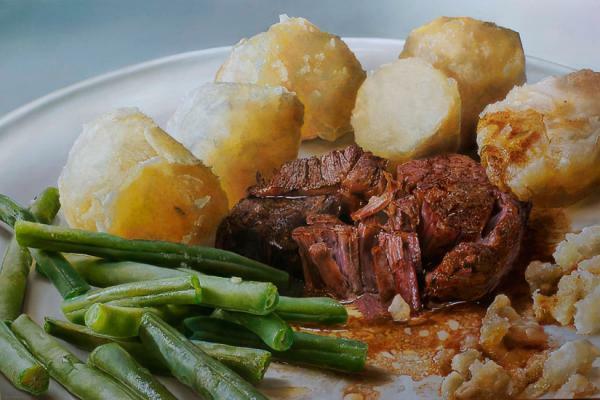 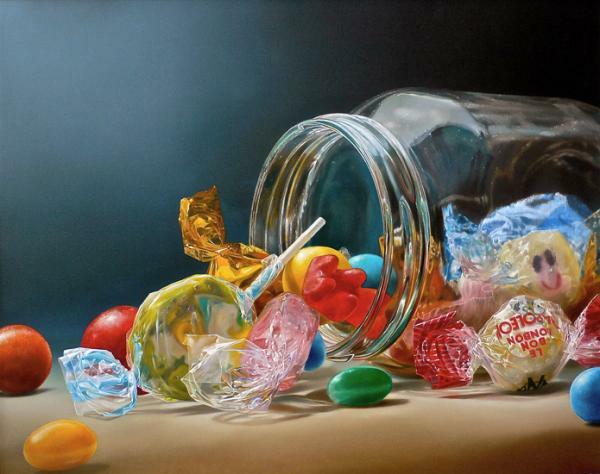 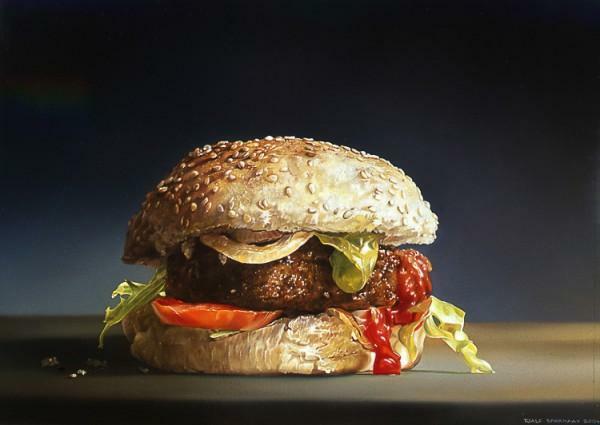 Dutch photo-realistic painter Tjalf Sparnaay creates delicious portraits of food that are so detailed and sumptuous you might catch yourself reaching out for a bite. 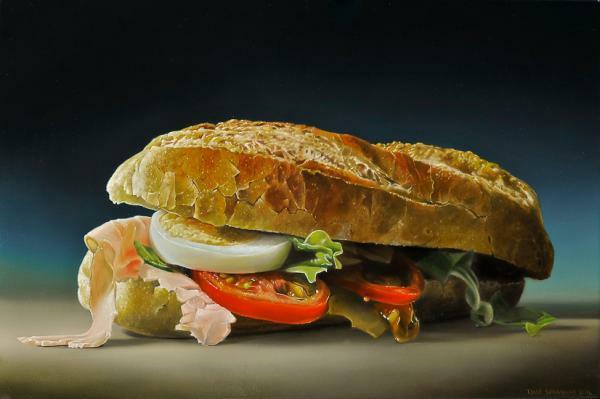 Sparnaay is by his own admission strongly influenced by the Dutch masters Vermeer and Rembrandt. 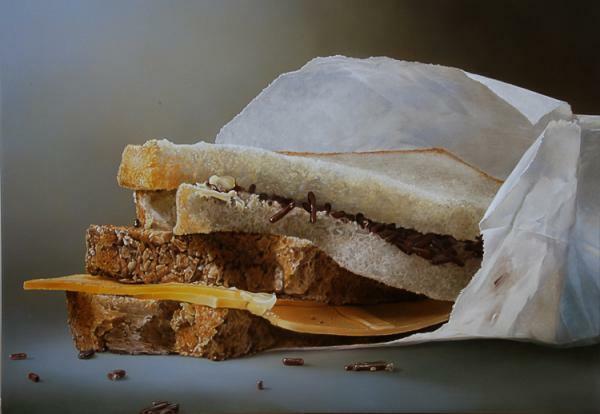 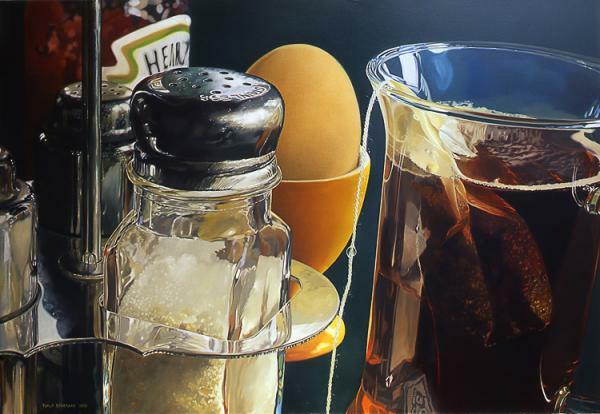 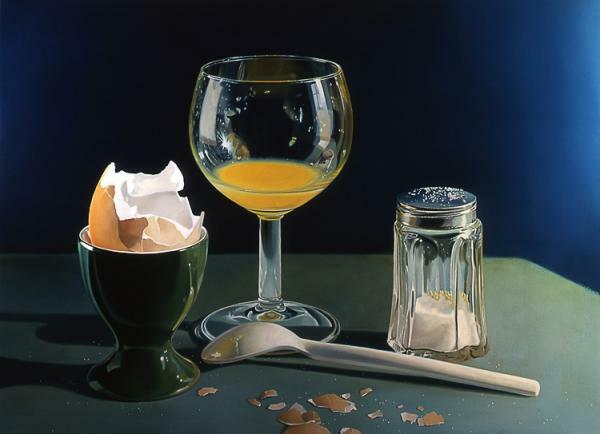 Copying the staging of his artistic heroes, Sparnaay glorifies the minute details of everyday existence by rendering food items in an almost heroic manner. 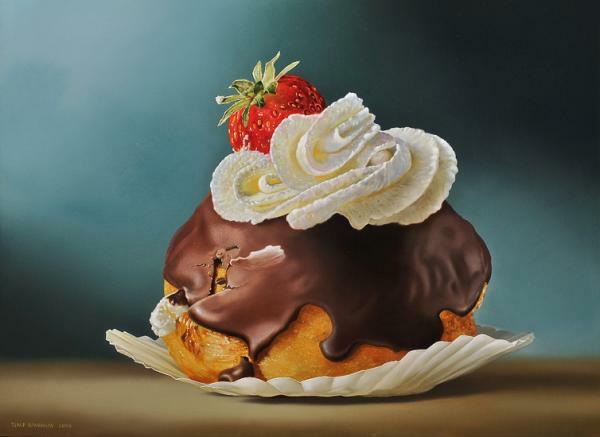 By “utilizing trivial or mundane items,” Sparnaay says he hopes to “give these objects a soul, a presence.” Catching the dimples in whipped cream and the fine crinkles in cellophane, Sparnaay gives his viewers an appreciation for the finer details in life.